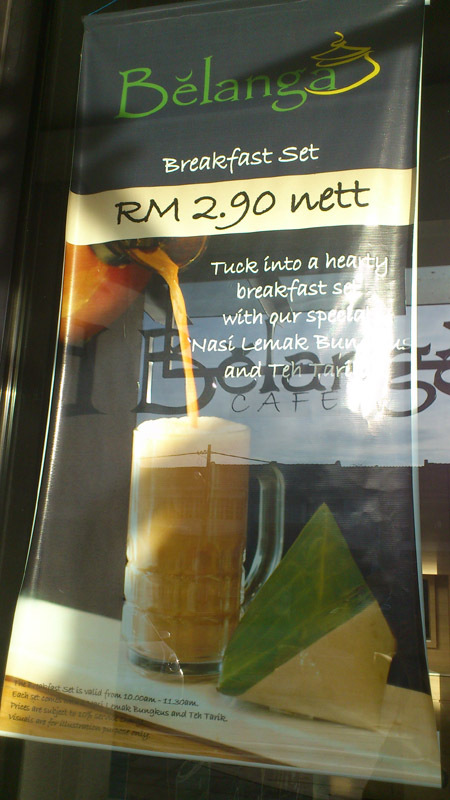 Malaysia’s Good Food & Stay Guide » Blog Archive » Kelantanese’s Belanga Café breakfast - super deal! Kelantanese’s Belanga Café breakfast - super deal! This promotion has been around for several months but I have not gotten the chance to try it until recently. I was even afraid that the promotion would not longer be available more so with many places increasing their prices. Worth mentioning is the promising high quality and freshness experienced in all their food and drinks. 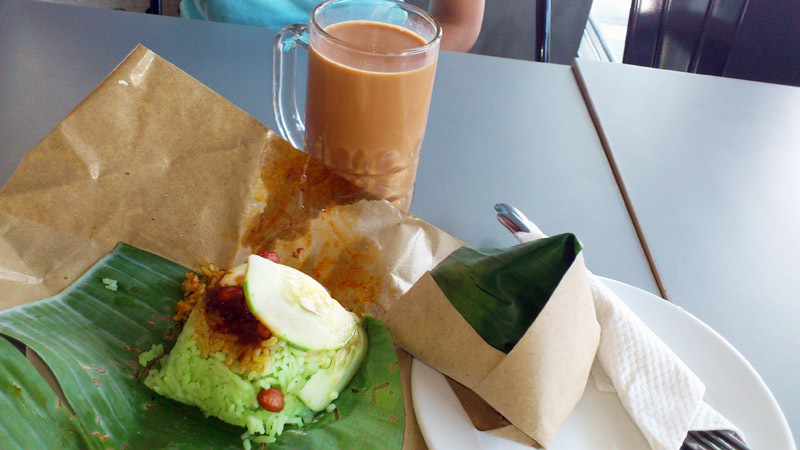 Here, the simple pack of nasi is thoughtfully complemented with fragrant pandan juice, and their teh tarik could be one of the best among many Malay eateries! We will surely revisit Belanga for more Kelantanese delicasy! It is no doubt that Belanga by Pn. Zainab Shiyuti won a Gold Award for the F & B Hospitality Interior Category of Malaysia Society of Interior Designers (MSID) Interior Design Awards in 2009. This entry was posted on Thursday, November 10th, 2011 at 12:41 pm	and is filed under Food Promo, Heavenly Klang Valley Food, Local Cafe, Set Breakfast. You can follow any responses to this entry through the RSS 2.0 feed. You can leave a response, or trackback from your own site.